The Florida Department of Children and Families (DCF) is often criticized. They have the unenviable job of caring for Florida’s children who are at risk. These complaints range from removing too many children from their homes, to leaving children in the home when they are unsafe. They are criticized for returning children too quickly to their parents AND allowing them to languish in care. Having worked for the Department in the 1980s and 1990s, I fully understand the responsibility these dedicated men and women take on each day. One of the biggest challenges is ensuring that the rights of both the children and the parents are addressed. This is no easy task. Fortunately, a new program is now available to DCF which may alleviate many of the challenges faced in achieving permanency for our children and protect parents’ rights as well. This process is called an Intervention. It is an example of community partnerships and privatization at its best. But before we get into the mechanics of an Intervention, I would like to talk a little bit more about our “system”. Some Florida families find themselves in a difficult situation. They may have lost their job or their place to live. The Department of Children and Families is often called in when things get too tough and a temporary safe place is needed for their children. Although Foster Care may be necessary, working their way through the foster care system can quickly become overwhelming and confusing for many parents. Lawyers, Judges and Guardian Ad Litem, while all well intended, can be intimidating to a family who finds themselves in front of a Family Law Judge for the first time. Often times families are expected to complete numerous tasks (listed in their case plan) in order to be reunited with their children. All the while the clock is ticking, with each Legal Document they receive reminding them that if they are unsuccessful they could lose their child to the foster care system forever. Although a parent, in their rational mind, may know they have to complete these tasks in order to make a safe place for their child, their anxiety kicks in and they are frozen in place. The system has a job to do, and it pushes forward. The child’s temporary placement turns into months and the parent often feels heartbroken, confused and separated from the process. For Florida families who successfully complete their case plan and are reunited with their children, the Foster Care system worked just the way it was supposed to. A family in crisis received help and was eventually “put back together”. But what about those families who aren’t so fortunate? What about those families who are faced with involuntarily losing their rights to their children? Fortunately, Florida’s parents may have more control and input over the future lives of their children than they are aware of; this process is the Intervention. There is a provision in our statute that allows parents involved in Florida’s Dependency system to work with a private adoption agency anytime before their parental rights have been terminated (TPR). 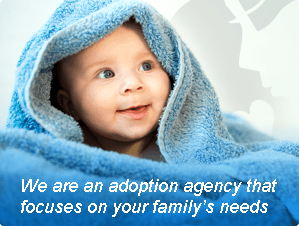 Parents may be able to make an immediate private adoption plan for their children. This program is not designed to return the children to their parents and is most often considered when a parent does not believe their children will be coming home. Let’s look at the benefits of Intervention for Florida’s children. Although we would all agree that foster care is a necessary service for children at risk, a temporary family is rarely as beneficial as a permanent one. When children are not able to be reunited with their birth parents, many agree that the next best thing is being quickly and thoughtfully placed with a loving, local adoptive family whom the birth parents have chosen. “The more times a child is moved, the less likely he is to form secure attachments. Between 33 and 66 percent of foster care arrangements are disrupted during the first two years”, reports developmental psychologist Brenda Jones Harden in “Safety and Stability for Foster Children” published in the winter 2004 issue of the journal “The Future of Children”. This is not new information. As early as 1985 Gean, Gilmore and Dowler noted that there was a relationship between the number of caregivers a young child had in foster care and the likelihood of expressing oppositional, crying, and clinging behavior. In 1994 the American Psychiatric Association added that when a child experiences disruptions in attachment relationships this can lead to Reactive Attachment Disorder in infancy or early childhood. This research has not gone unnoticed by the Department of Children and Families and is likely one of the major contributors to their efforts to find permanent homes for our children within 12 months of coming into care. But the Department needs help and Interventions is one source of that help. In addition to knowing what does not work for Florida’s children there has been a lot of research on what benefits children, especially in the field of open adoptions. Children placed in foster care are encouraged to visit with their parents. This is intended to maintain and strengthen a secure attachment between the child and parent and encourage the likelihood of reunification. When reunification is no longer an option and the parent’s desires for the child’s future, including identified open adoption, are no longer considered, the parent is often removed permanently from their child’s life. Most children do not fully understand the reason for the loss of their parents and may internalize this loss as somehow being their fault. The process of Intervention goes a long way in addressing the life-long needs of the child. According to Child Welfare Information Gateway in an article published in January 2013 called “Openness In Adoption: Building Relationships Between Adoptive and Birth Families”, openness in general (that can be created through Intervention) provides many benefits for the child. It affords a greater sense of connection and a deeper understanding of identity and wholeness. When birth parents remain part of the adoption process not only are connections to family maintained but so are cultural and ethnic heritage. The information birth parents provide is invaluable to understanding the reason the child was placed in foster care and eases their feelings of abandonment and loss. Birth parents are also able to continue to provide ongoing medical and genetic information. We believe that the more people who are able to love a child the better off that child will always be. In addition to the many benefits listed above for Florida’s children, Florida’s parents are also aided by Interventions. Faced with a difficult choice of losing their children to the foster care system or making a private adoption plan, they often find comfort in the advantages found with open adoption. Parents are able to select the adoptive family for their child. They can also receive updates, pictures and additional types of contact dependent on their unique situation. Parents want to be involved in the adoption process, they want to have input on their children’s future and they want their children out of the system quickly. “Openness In Adoption: Building Relationships Between Adoptive and Birth Families”, also addresses the many benefits of open adoption for birth parents. Openness can help birth parents more effectively deal with feelings of loss and guilt, it can increase their sense of control over decision-making and placement and overtime create a peace of mind because they know how their children are doing. This also creates strong relationships between adoptive and birth parents, the individuals who love the child the most. None of this would be possible without Florida families willing to step up and adopt these children through Intervention. This adoption process is not for everyone. I believe that adoptive families who choose Intervention have a bit of “crusader blood” in them. Both the child and the birth parent are counting on this family to be their champion. Without adoptive parent’s financial and emotional commitment, the birth family and child could lose contact forever. This is one of the many reasons for the special relationships both birth and adoptive parents enjoy. Because of the birth parents, the adoptive parents have a child and because of the adoptive parents, the birth parents still have a connection with the child they love. There is one last reason that Intervention should be of interest to all of us in the state of Florida. The child welfare system, including DCF, the court, attorneys, Guardian Ad Litem and community based care organizations are necessary to care for children who have no one else to care for them. Lawmakers and citizens alike gladly dedicate tax dollars to children at risk. The current Foster Care rate is approximately $484.00 per child per month or $5,808.00 per year. Arguably not nearly enough for the hard work and sacrifice of these dedicated Foster Parents. The average Medicaid cost per recipient, according to FDHC, is $5,959.00 per year. So just providing food, shelter and medical care to one child in Foster Care cost taxpayers an average of $11,767 per year. This would be saved for every child for every year the system was no longer responsible for him. But maybe even more important than the savings in tax dollars for these services, is the relief felt by our overburdened system. Every child removed from the system through Intervention frees up the attention of all the over worked and dedicated child welfare professionals who are needed to care for the children who depend on them every day. If you are a Florida parent and would like more information on Interventions, please visit our website at www.adoptionispersonal.com or call/text Angela at 386-852-9098. Angela Quick, MPA is the owner of the Adoption and Family Support Center in Port Orange, Florida. With nearly 30 years of experience, she has dedicated her life’s work to improving the health and wellbeing of Florida’s children and families.